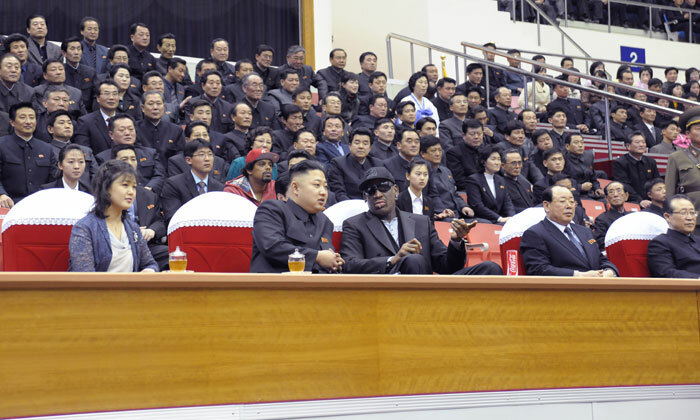 DPRK state media reported on 28 February (Thursday) that Kim Jong Un (Kim Cho’ng-u’n) watched a basketball with former NBA player and Hall of Famer Dennis Rodman at Ryugyong Jong Yu Jong Indoor Stadium in Pyongyang. 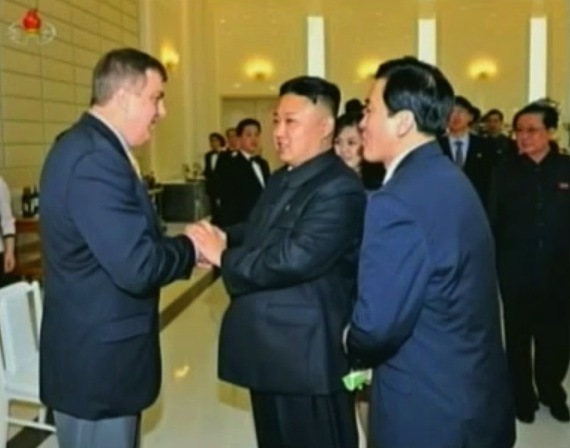 KJU’s last reported public appearance was his attendance at a commemorative photo session with personnel involved in the 12 February 2013 nuclear test. 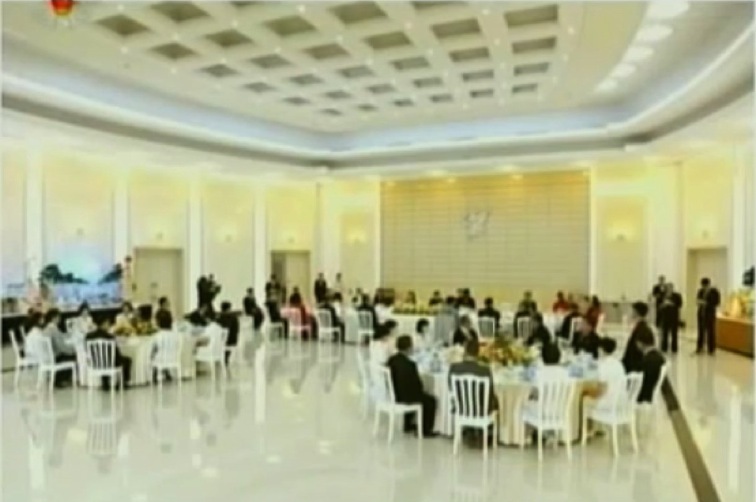 Also in attendance, among others, were KJU’s wife Ri Sol Ju, Vice Chairman of the National Defense Commission and Chairman of the State Physical Culture Sports Commission Jang Song Taek, Director of the Korean People’s Army General Political Department VMar Choe Ryong Hae, and Senior Deputy (1st Vice) Director of the Korean Workers’ Party Propaganda and Agitation Department Ri Jae Il, among others. A mixed basketball game of the visiting American basketball players of Harlem Globetrotters and Korean players belonging to the Hwaebul basketball team of Korean University of Physical Education took place at Ryugyong Jong Ju Yong Gymnasium on Thursday. Among the American players was ex-player of NBA Dennis Rodman. 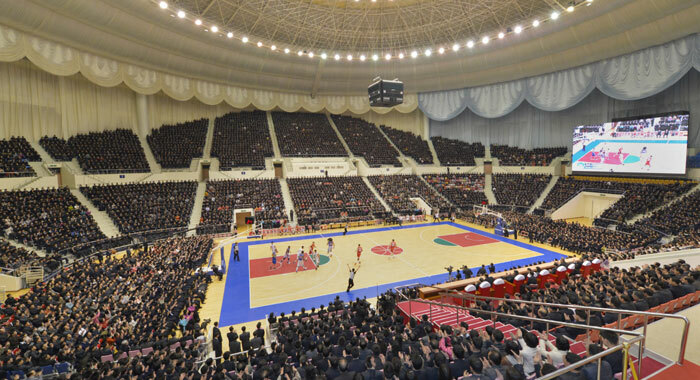 Sports fans and other Pyongyang citizens packed the gymnasium to watch the game with great interest. Among the audience were foreign diplomatic envoys, representatives of international bodies, military attaches and other foreign guests here with their families. The dear respected Marshal Kim Jong Un, together with his wife Ri Sol Ju, came to the gymnasium to watch the game. The players and audience broke into thunderous cheers, greatly excited to see the game together with Kim Jong Un. 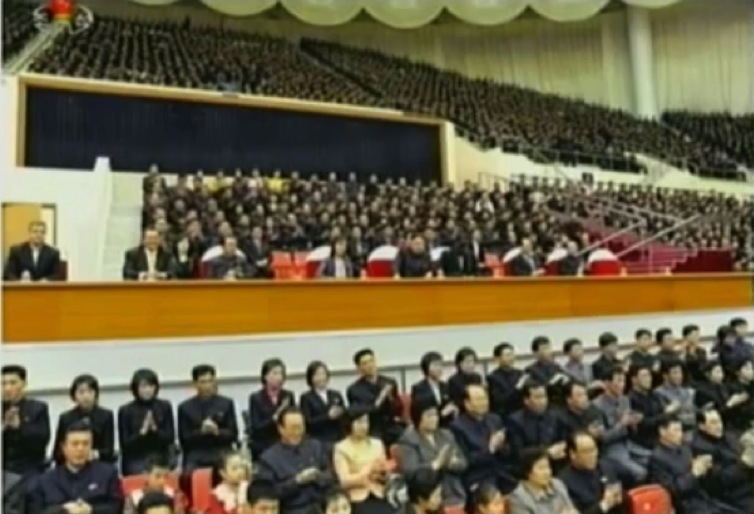 Dennis Rodman went up to the auditorium to bow to Kim Jong Un. 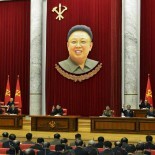 Warmly welcoming him, Kim Jong Un let him sit next to him. Brett Dennis Meister and Jeffrey Raymond Munn also sat near him. American basketball players first played a demonstration game amid great attention of the audience. They showed a variety of special basketball skills to be highly acclaimed. 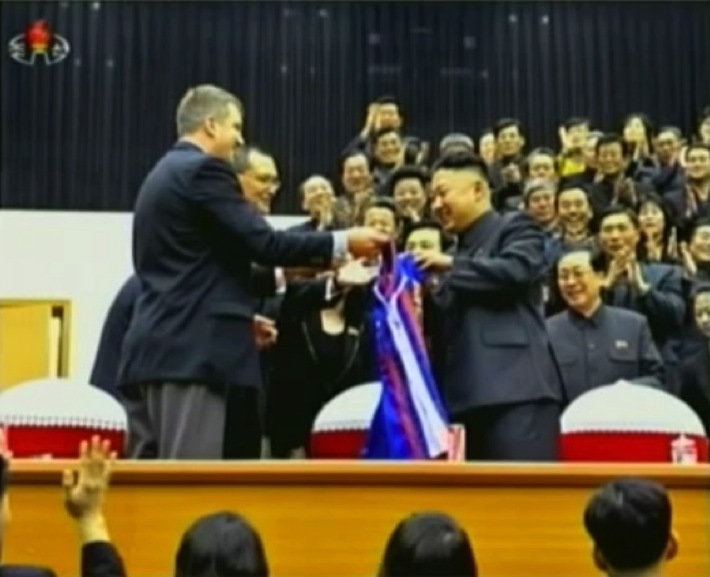 Then a mixed game of DPRK and American players took place amid elated atmosphere. Divided into red and white teams, the players carried out fierce seesaw battle. In the first and second rounds, the red team players won 60:47 with long-distance shooting, dunk shot and other skills. The audience enthusiastically cheered the players as they showed amazing skills. During breaks, women’s brass band presented glamorous rhythmic formations. National dances by Korean women artistes and a demonstration performance of Taekwon-Do players added to the cheerful mood. Korean basketball players played the game well with American players of their teams in a coordinated way by fully displaying their techniques. American players made a good job of the game to give good impressions to the audience. The white team combined man-to-man defence and fast break. The game ended in a draw 110:110. 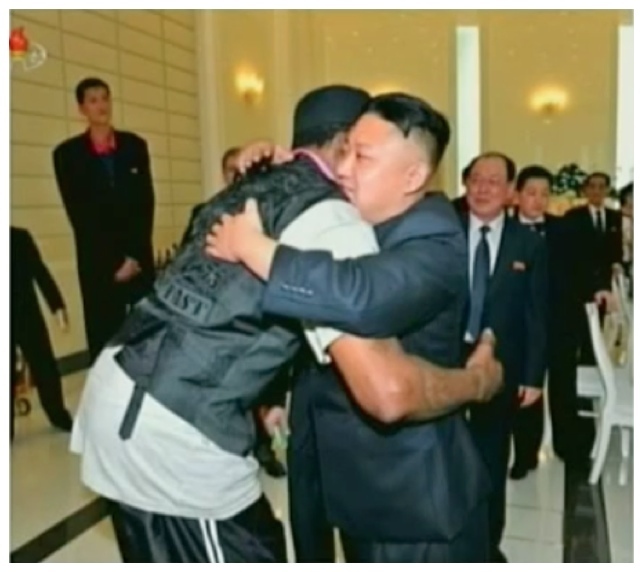 VICE provided several images of the game and the KJU-Rodman interaction. 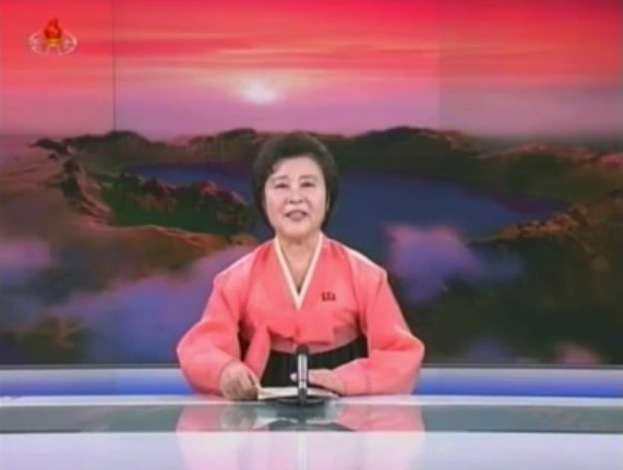 During the 1 March 2013 Korean Central Television [KCTV] news broadcast Kim Jong Un’s attendance at the basketball game and banquet with Dennis Rodman and the US basketball delegation was reported by senior anchorwoman Ri Chun Hui. 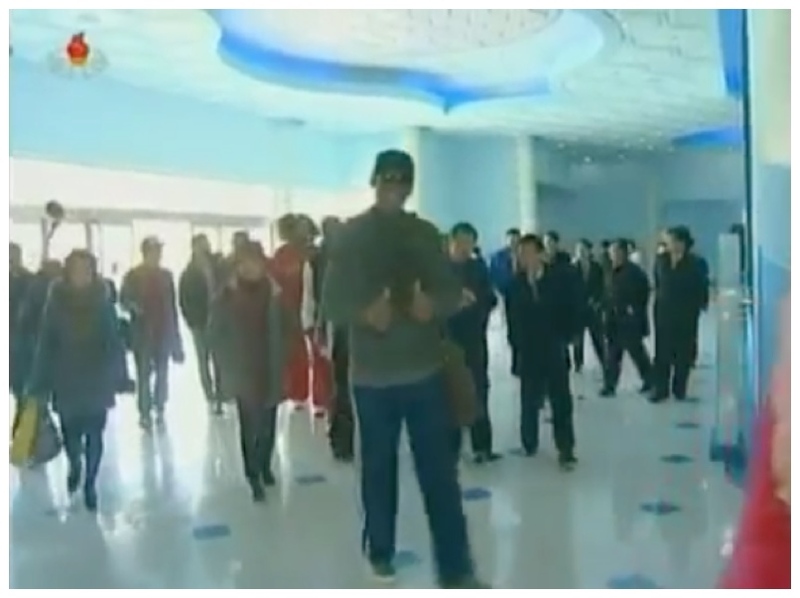 Later into the broadcast, there were news items which showed Rodman and members of the Globetrotters visiting the Rungra Dolphinarum, the Globetrotters visiting sites in Pyongyang and Dennis Rodman departing the DPRK from Pyongyang Sunan Airport. 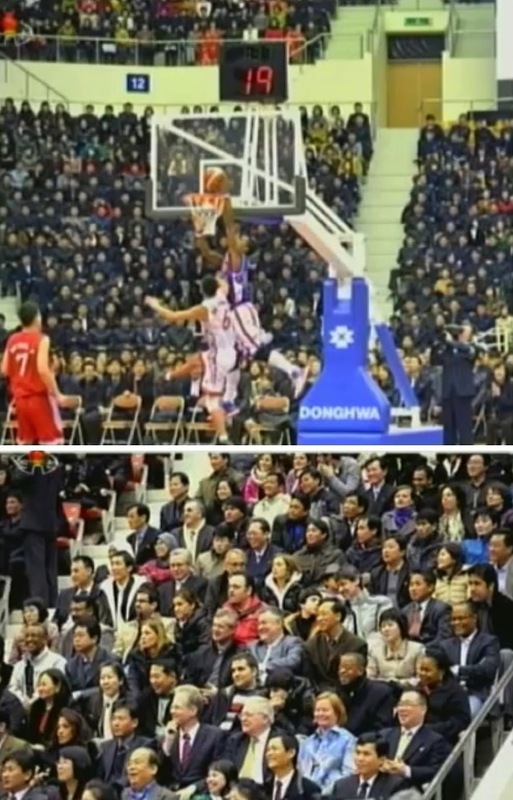 This entry was posted on 02/28/2013 by nkleadershipwatch in 2013 Dennis Rodman/Harlem Globetrotters Visit, Administration Department, Central Committee, central party life, Choe Ryong Hae, DPRK basketball, DPRK Cabinet, DPRK External Relations, DPRK Sports, Education Commission, Events Management Section, General Affairs, Guard Command, Jang Song-thaek, Kim Family, Kim Jong Un Visits, Kim Jong-un, KJI Personal Secretariat, KKH, Korean Workers' Party (KWP), KPA General Political Bureau, KPA General Political Department, Ministry of Education, Mokran House, North Korean press, Organization and Guidance Department, Political Bureau, Provincial Party Committees, Ri Jae Il (PAD), Ri Sol Ju (Kim Jong Un's wife), Secretariat, State Physical Culture and Sports Commission, State Planning Commission (SPC).